Birmingham’s new football team wants to encourage healthy living among kids and young adults through a new program announced Thursday morning in Birmingham. “Iron Kids” was revealed during a presentation at Wilkerson Middle School. 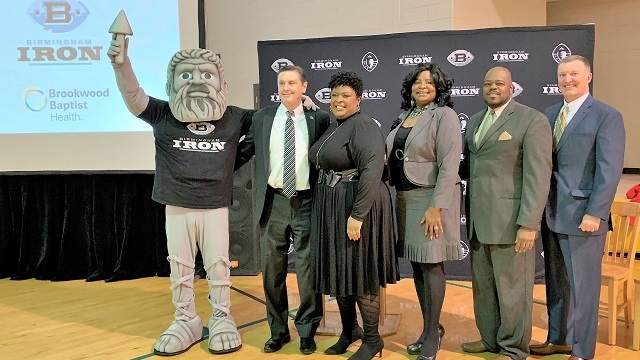 The program is a joint effort between Birmingham City Schools, Brookwood Baptist Health, Blue Cross and Blue Shield of Alabama and the Alliance of American Football’s Birmingham Iron football team. The goal of the program is to generate awareness and action on the growing concern of youth fitness and a sedentary lifestyle. 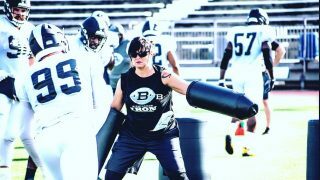 Birmingham Iron leads the charge with Iron Kids initiative from Alabama NewsCenter on Vimeo. Iron running back Trent Richardson will serve as the spokesman for the Iron Kids Program. 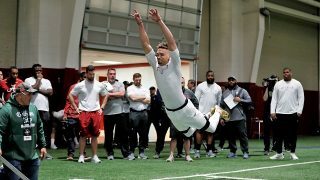 During a pre-recorded video played at the announcement, the former Crimson Tide star encouraged the kids to participate. Birmingham City Schools Superintendent Dr. Lisa Herring said she is excited about the program and the partnership. Herring added it’s important for the kids to see adults modeling the same behavior. 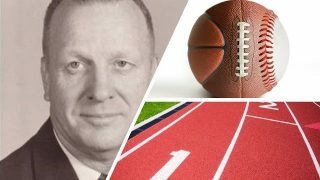 The late coach is being inducted into the Alabama High School Sports Hall of Fame.